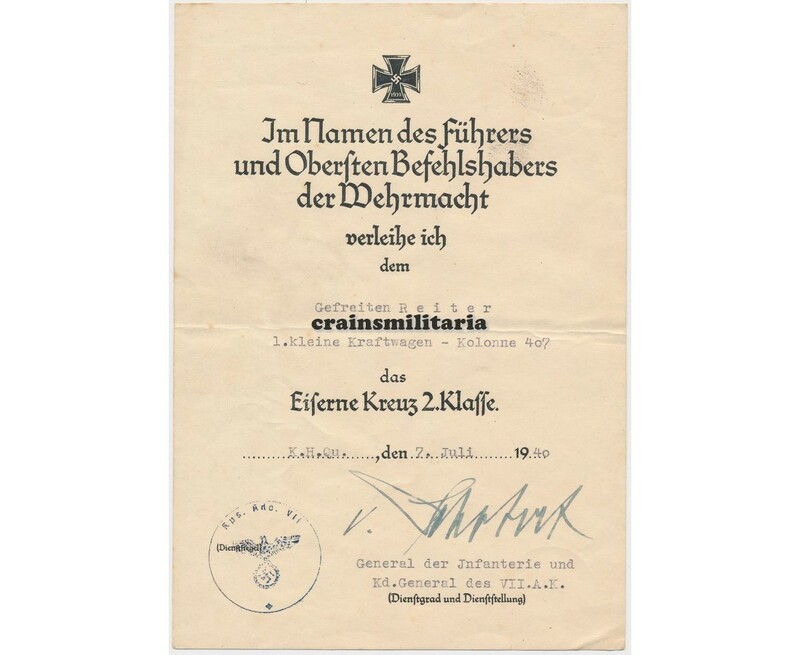 EKII issued in July 1940 with kleine Kraftwagen-Kolonne 407, signed by General Eugen Ritter von Schobert, Knight's Cross winner. 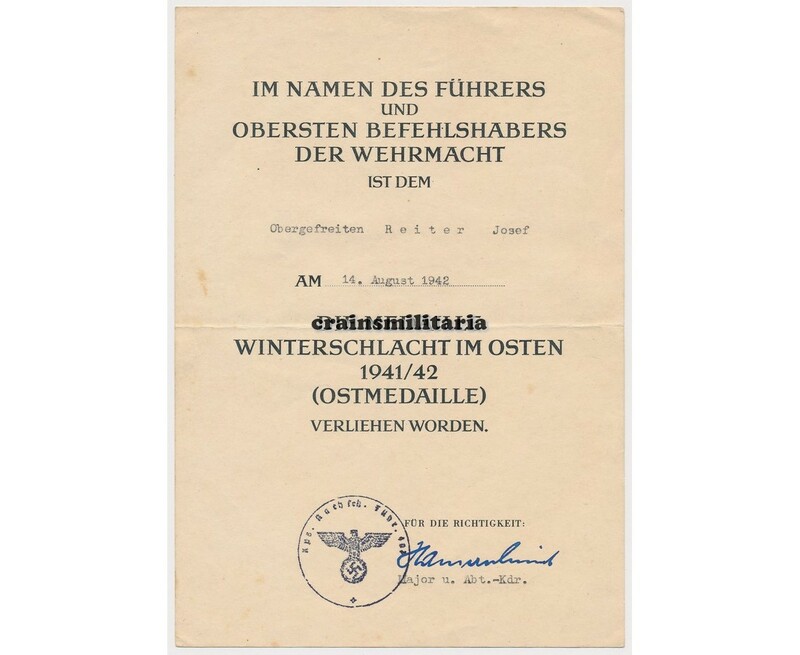 Ostmedaille issued in August 1942 with Korps-Nachschub-Führer 407. 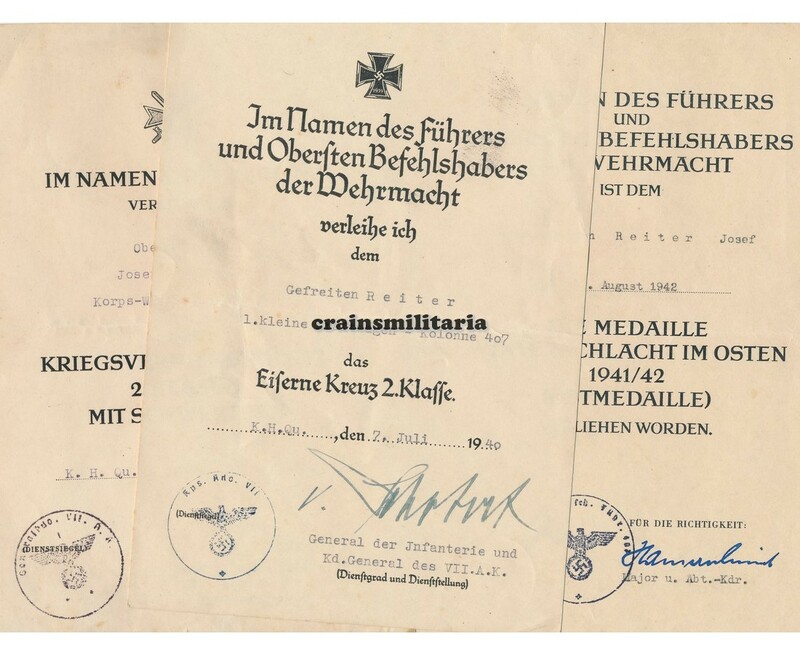 KVKII issiued in September 1943 with Korps-Werkstattzug 407, signed by General Ernst-Eberhard Hell, Knight's Cross and Oak Leaves winner. 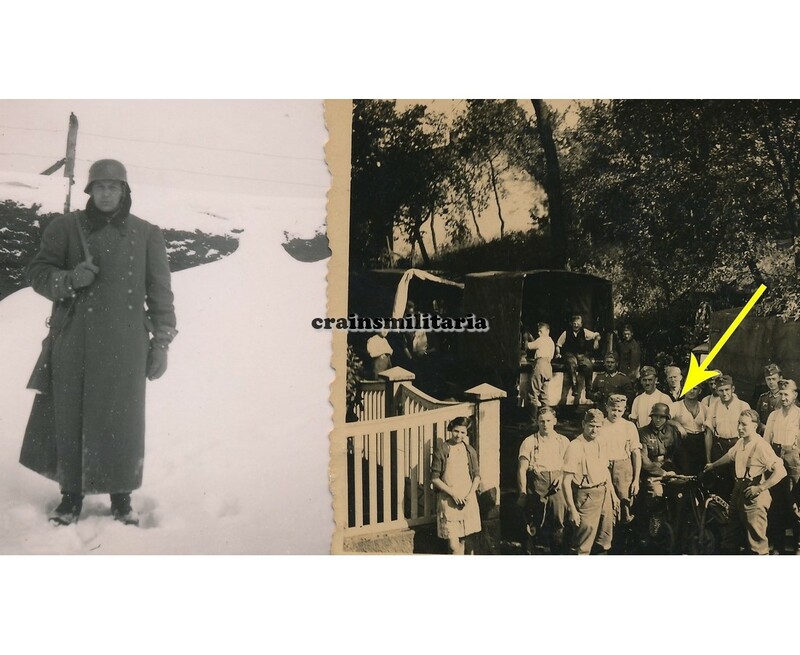 All three units were suply units under the VII. 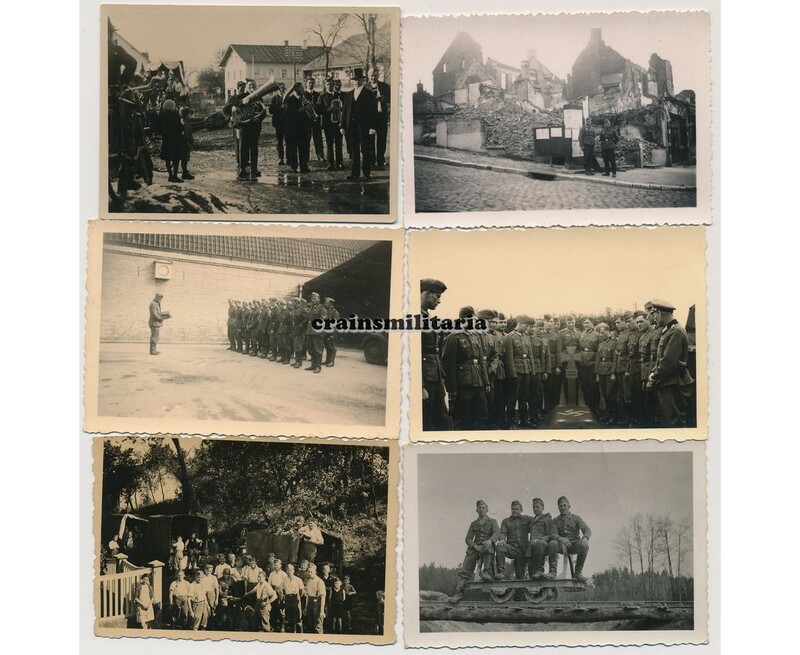 Armeekorps. 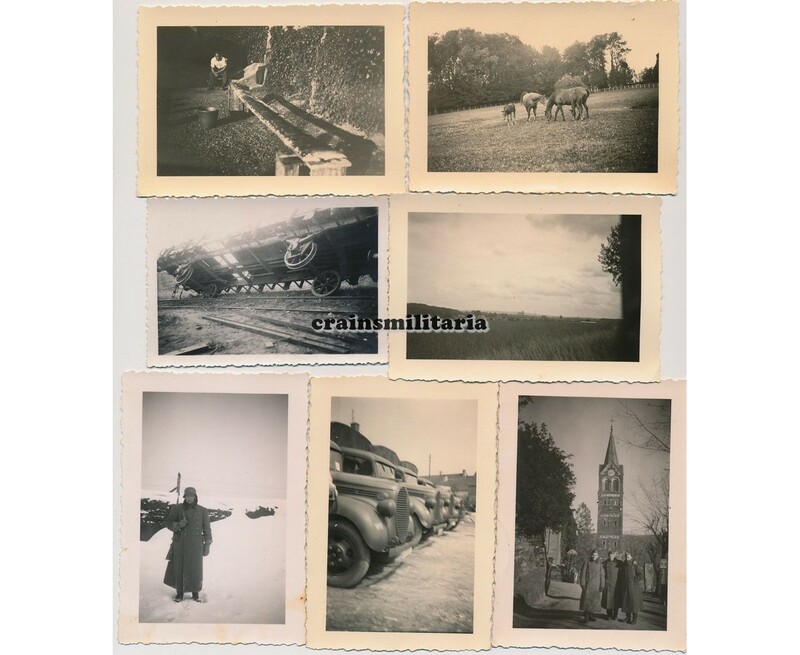 The very early EK2 is quite surprising for such a unit, but the accompanying photo group of 24 private photos gives a better understanding: Reiter was deployed as Kradmelder in his unit and must have fought at the front lines in France in this function. 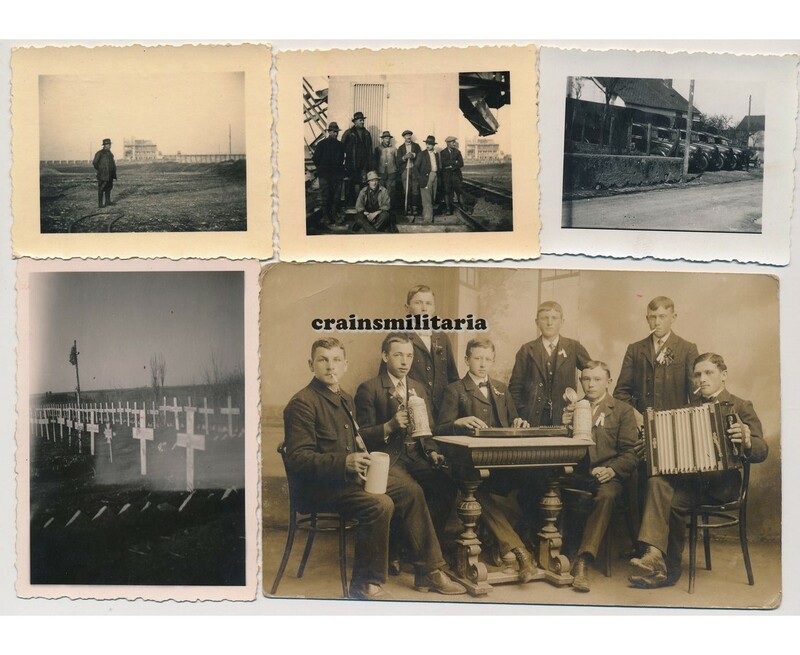 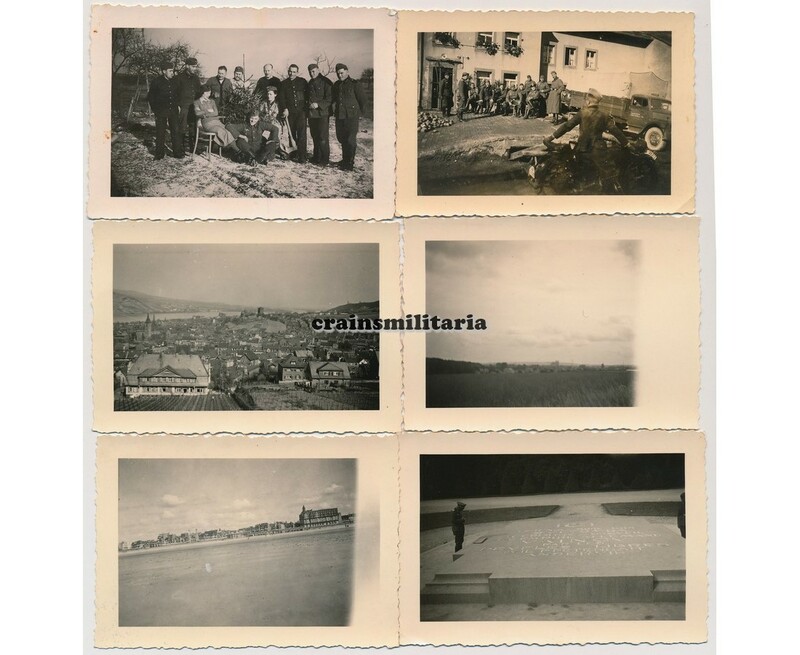 Other photos show destructions in France, grave site, trucks with unit insignia, etc etc. 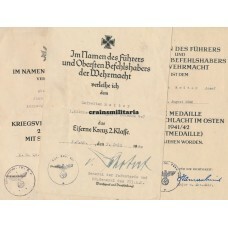 Nice small award document grouping with two Ritterkreuzträger signatures and photos of the owner. 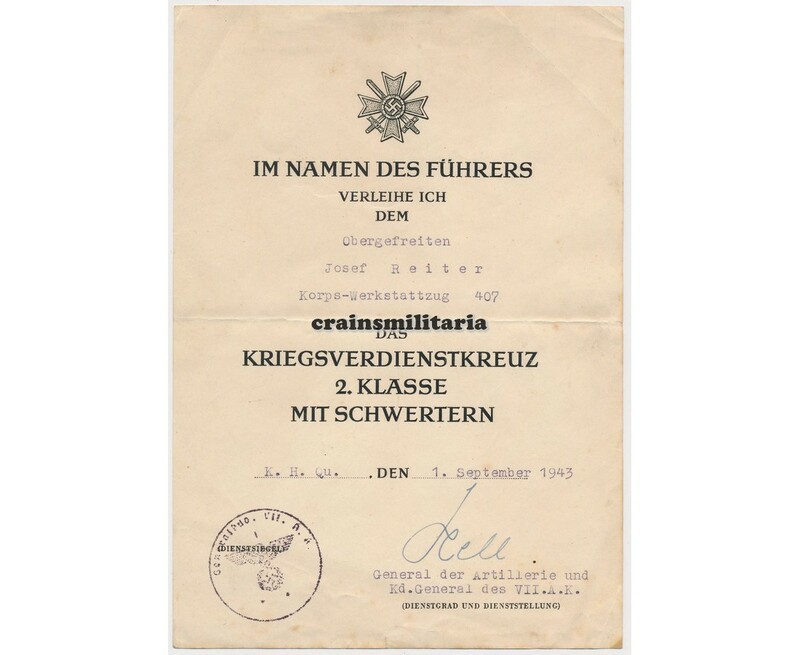 All award docs folded once, not punched, in good condition.